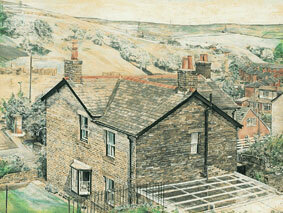 An award-winning early commission to paint Landlake Cottage. The fine detail and acute observation belie its actual dimensions. (Reproduced by kind permission of Mr A Kershaw).